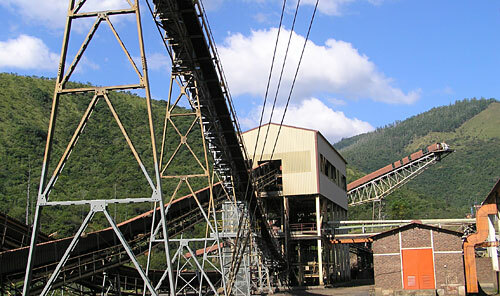 The CMC, which is situated within the Barbrook Mines Complex, is the Company’s central metallurgical processing facility. It is located approximately 6km by road from the Lily Mine. The CMC currently has two processing circuits, each treating different types of ore. Free-milling ore from the Lily Mine is processed through a conventional crushing and milling section followed by a JET-LEACH carbon-in-pulp (CIP) circuit. Gold from the carbon elution generation circuits is recovered by electro-winning and smelting. A parallel processing circuit treats refractory ore from the Taylors Mine. In this circuit, ore is separately crushed and milled, and the mill overflow is passed through a cyclone and a bank of flotation cells where float concentrate is produced. Following cancellation of the concentrate Off Take Agreement, Taylors Mine concentrates are now being leached directly in CIL leaching tanks as part of the Taylors processing circuit, with bullion being produced on site after electro-winning and smelting. The circuit processing the Lily Mine’s ore is capable of treating approximately 32,000 run-of-mine tonnes per month, and the circuit processing the Taylors Mine ore has a treatment capacity of 9,500 run-of-mine tonnes per month. In due course, the ‘footprint’ of the CMC will be expanded to accommodate the planned increase in production from the Barbrook Stage 2 expansion. 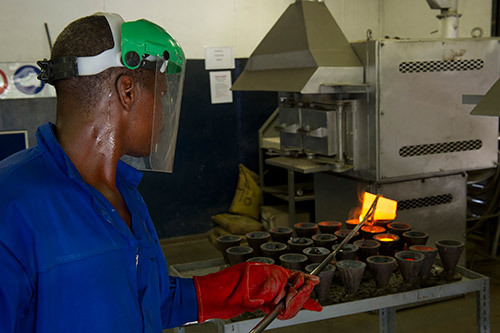 Metallurgical test work on the various gold deposits at Barbrook is on-going with the objective of determining the most appropriate processing method for treating the ore reserve material to be mined in the production expansion plan.